As a general rule, we don't particularly like to own franchises. However, the great folks at the Vocelli Pizza headquarters in Pittsburgh blew us away. We like to work with good people. So we bought a Vocelli franchise when one came up for sale. 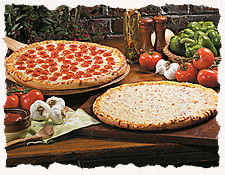 We're proud to own and operate Vocelli Pizza in Warrenton, VA.